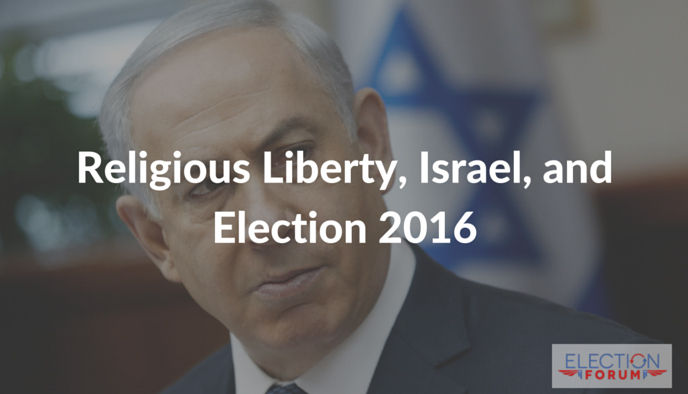 The last GOP debate spotlighted the assault on religious liberty and Israel. Which candidates the voters trust to protect individual liberty and freedom of conscience? Ted Cruz discusses the values of the Hispanic community: faith, family, and patriotism. Listen to them here. Listen to Donald Trump walk back comments he had made earlier about “neutral on Israel” here. John Kasich has told Christian business owners that they should be forced to serve homosexual marriages, even if it violates their conscience and Biblical values. Many florists, bakers, and other Christian business owners have been fined, or threatened with jail and bankruptcy. He tried to clarify those comments in the latest debate, but obviously he will not protect Christian Biblical values. Watch his comments here. THE PAST CENTURY OF GOP & DEMOCRAT ELECTION CAMPAIGNS EVIDENCES THAT NO CAMPAIGN RHETORIC CAN BE TRUSTED!!! The past century of GOP primary election campaigns and debates clearly evidences candidates using rhetoric of ‘Christianity’ and ‘conservatism’ only to be elected and govern with constitutional-deconstructionism and global-engineering at the expense of America. But, because it is Republicans doing the deconstructing of America, GOP voters remain nearly silent failing to hold their own politicians accountable to their Oath of Office to preserve, protect, and defend the Constitution. Many of these bogus ‘free-trade’ agreements that functionally acted like the proverbial flood-gates opening to allow America’s manufacturing and production, and subsequently it’s middle class, to flow out of America propping up corrupt nations were sold to GOP voters by globalists posing as conservatives within the GOP and Fox News. Cover is given for these conservative-posers by ‘establishment’ conservative-relativists in the mainstream media, who demonize constitutionalists speaking truth as “isolationist,” “week on national defense,” and other labels not based in truth. Revelations 3:16 – So then because thou art lukewarm, and neither cold nor hot, I will spue thee out of my mouth. James 2:24 – Ye see then how that by works a man is justified, and not by faith only (‘works’ are required to evidence faith is true not assumed). rid them out of the hand of the wicked. The past century of the GOP voting makes crystal-clear (as verified by America’s existing emaciated and deconstructed condition), it is that continually voting for another in a long line of ‘constitutional-relativist’/global-engineers increasingly infecting the GOP, to prevent a Democrat-socialist from being elected, maintains America’s trajectory toward national suicide – albeit slower and down a different path. “Progress should mean that we are always changing the world to fit the vision, instead we are always changing the vision.” — G.K. Chesterton. The past century evidences the GOP ‘vision’ having been corrupted as politicians claiming Christ and conservatism during campaigns are elected only to sacrifice constitutional principals to accommodate public opinion manipulated by six mainstream media information brokers. Including globalist Rupert Murdoch’s FOX News which employees conservative and Christian talking on air personalities, yet mostly indoctrinates viewers with rhetoric and outcome based polling data from constitutional-deconstructionist posing as conservatives. Chesterton’s claim can be applied to the fact that ‘political conservatism’ in America over the past century should not have become relative to changes in technology, national security, public opinion, or the like, but should have been preserved as true ‘political conservatism’ within the context of our constitutional-republic is a matter of survival, and not opinion or preference. When there is no precise measure for that which constitutes ‘political conservatism,’ then conservatism is vulnerable to being manipulated and poisoned – which is precisely what has occurred over the past century – causing America’s emaciated and deconstructed condition from a purely political perspective. The following is the definition and only measure for ‘political conservatism’ within the context of our constitutional-republic. POLITICAL CONSERVATISM: Resistance to change from the original-intent of America’s amended constitution. The only way to change America’s trajectory toward national suicide to a trajectory toward restoration, is to restore both the pulpits of America and the GOP to functioning as they did pre-1900s. Tactically voting for ‘the lesser of two evils’ as GOP voters continue to do during elections, when doing so is part of a century long pattern, as opposed to a rare occurrence, results in ‘more evil in the end’ with restoration nowhere in sight. If we do not respect fully encourage our pastors and priests to and their editing the Word of God by omitting the biblical ‘works’ obligation, and if the GOP is not cleansed of the constitutional-deconstructionists/global-engineers infecting it like a cancer, America will be destroyed and we will stand before God one day giving an accounting for why we read about Jesus, spoke about Jesus, but did not find Jesus worth representing in society and government as was once done in pre-1900s America. I’d like more info on Marco Rubio please. 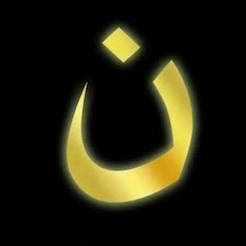 I think they should focus on the sins of this nation such as murder of innocent babies by humanistic barbaric cowards that destroy an innocent human made in God’s image for profit. I think they should get the same unmercifll punishment that they consider that they are so privileged to curly murder and slice up innocent helpless babies. Also this homosexula rights movement that forces every heterosexual to approve is the most ludicrous freedom of speech I ever heard they shoud’nt be marching down our streets and flaunting their decadent sin and our children being exposed to something that has destroyed every society in history since Sodom and Gahmora. I agree with you, Eugene. They are focusing on the least controversial and what would cost them losing the least votes. (https://www.conservativereview.com/2016-presidential-candidates) Detail behind totals below. I have quantified this based on a perfect score order being 2 Opposes, 4 Supports, and 1 Opposes. BLM… Fed Govt lands or do they belong to the people and their states? This is why I believe only constituents should be able to give to any entity influencing the election. What are rich people from NY and CT and TX doing involved in Kentucky elections?! Abortion, the murder of the unborn…. The reasons listed above are the exact outline for why the Washington Cartel AND the liberal media would rather support anyone than risk Cruz winning the presidency. Who are the establishment candidates? Bush? Rubio? Kasich? Fiorina? I could go on, but it should be obvious that Cruz is the hands down best choice for a true conservative with our values. Cruz 2016!!! Trump is a liberal claiming to be a newly minted conservative… who should you trust? Why would you even believe him? What matters more to you bluster and one liners or principle? Ask yourself. 2015, Take all out motion today and begin to make the money on-line you deserve and need!!!!! !